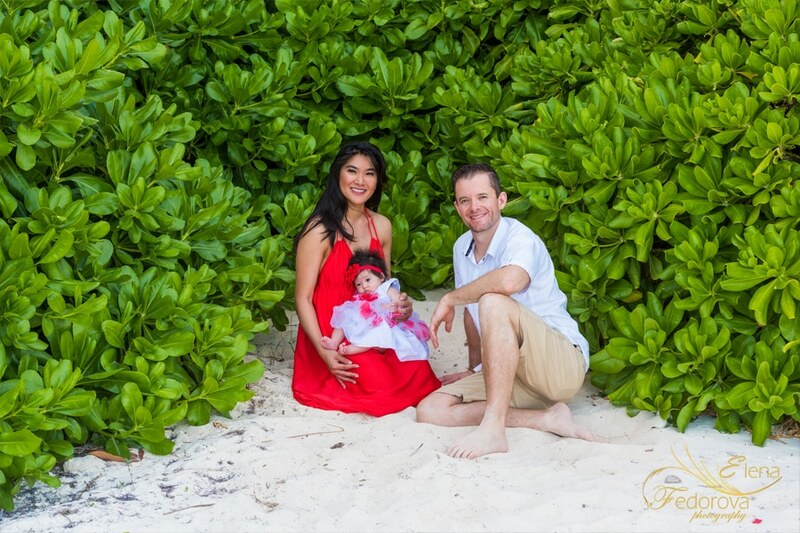 Family photography in Mayakoba Playa del Carmen. 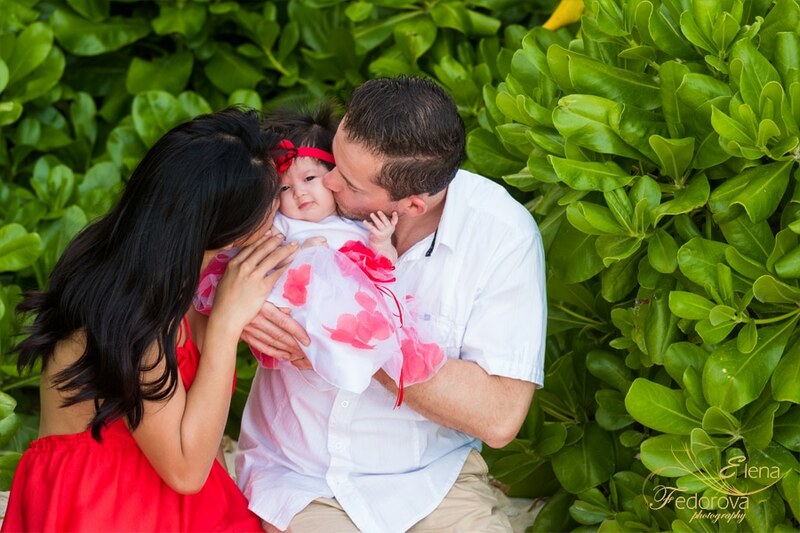 Home page → family photo sessions → Family photography in Mayakoba Playa del Carmen. Fairmont Mayakoba is one of those resorts that if you visit once it will stay forever in your memory. 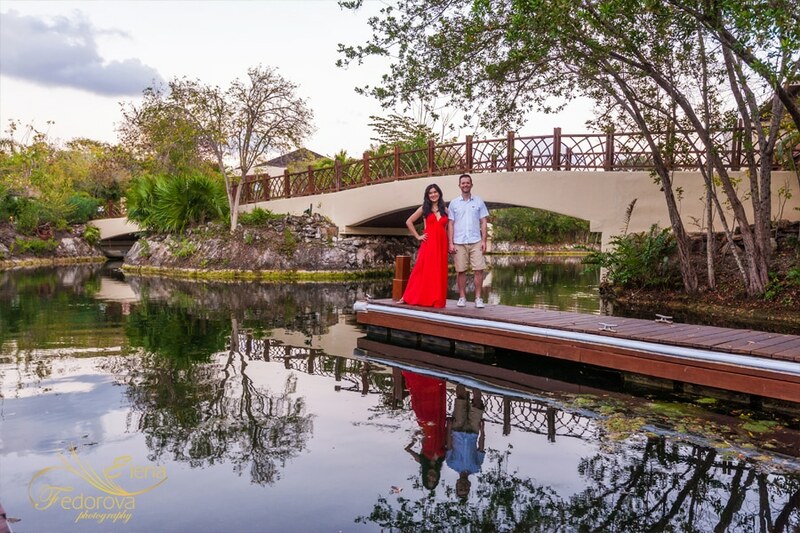 The moment you enter the resort area you will feel yourself blown away by the pristine, tropical ambiance accurately preserved by the resort owners. After a couple of days living in one of the exquisite apartments and strolling along the neat alleys you might question yourself: How did they manage to organically construct such a huge resort and still preserve the massive area of the nature inside untouched? I guess it took engineers hundreds of hours to plan it the right way, so eventually every guest will be able to admire the true Mexican nature staying in harmony with the luxury resort area. For My and her family it was the first time in Mexico. 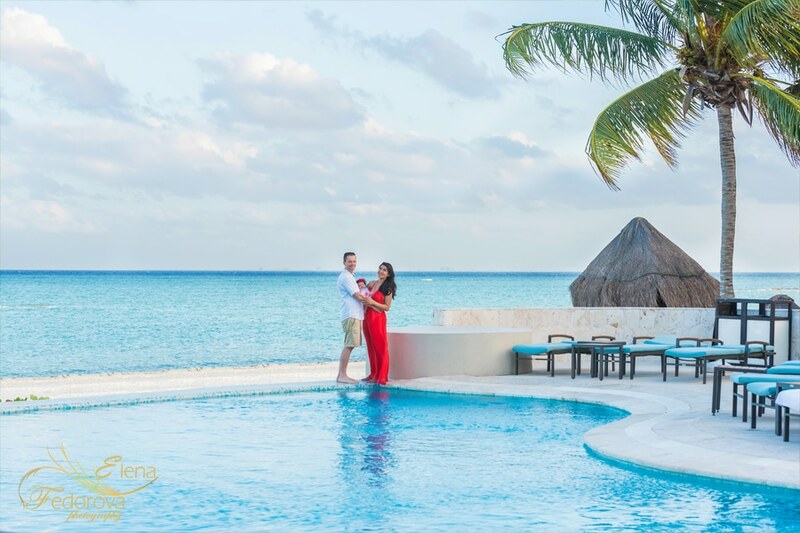 During our skype conversation My said that she was a little worried about if her two month old daughter will be able to hold on a family photo shoot in Fairmont Mayakoba. So in order to create the most comfortable conditions we decided to make a photo shoot in the evening. This is the best time for any type of photo session in our tropical area, where the sun is shining at you practically all day long. After making family photo shoot with little kids for many years I can tell you with a 100% guarantee that it is impossible to predict how the flow of the photo session will go. It will very much depend on what type of mood will the kid or kids have at the exact moment. From my side of the photographer I am always on the alert with my finger on the shutter button to quickly photograph the candid emotions presented by a kid. As always such emotions are a matter of a few seconds! 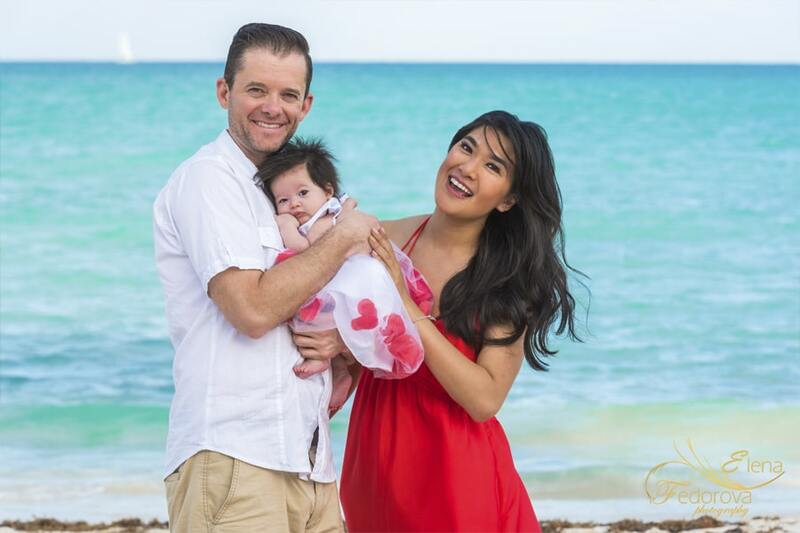 At the day of the photo shoot at Fairmont Mayakoba we were lucky that Mai was partly cooperating I was able to make wonderful photos. No matter how young she was, she truly engaged in the process of the photo session and pleased her parents with the cutest smiles. 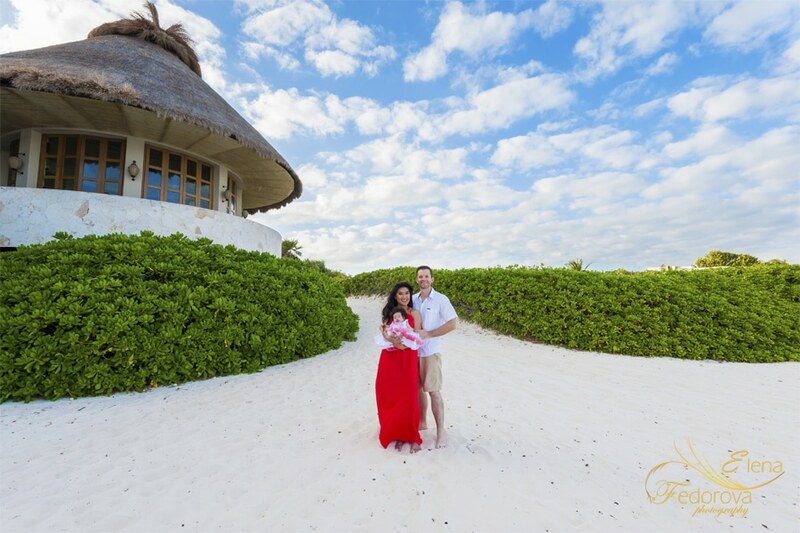 The Mayakoba beach is as amazing as all the rest of its territory and it has a great variety of spots to make different style photos and looking at the following photos you can see it for yourself. Having someone to love is family. Having somewhere to go is home. Having both is a blessing. ← Proposal photo shoot at Andaz Mayakoba Riviera Maya.